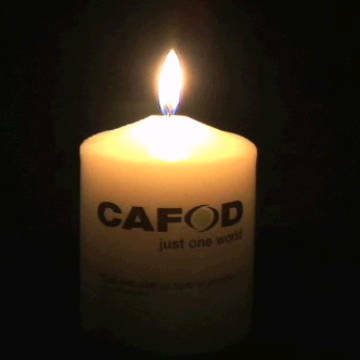 Each November CAFOD holds Memorial Masses across England and Wales in honour of supporters and loved ones who have died. It is a time to come together and to reflect on the lasting impact our loved ones have had on the world. We pray they find peace and that we can continue their legacy of love in their memory. At each Mass we present a Book of Remembrance which includes names of supporters who have sadly passed away during the year. You are welcome to add a loved one's name to our Book of Remembrance online. Alternatively, you can get in touch with Roisin at remembrance@cafod.org.uk or by calling 020 7095 5348 and we would be honoured to remember your loved one in this way. 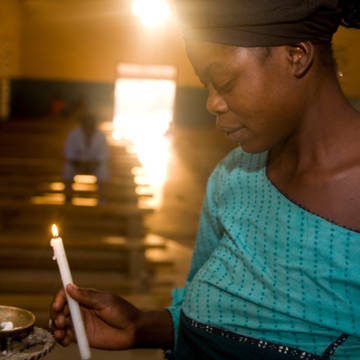 If you would like to donate in memory of a loved one, you can find out more about remembrance giving with CAFOD, or email remembrance@cafod.org.uk for more information. Reflect on the lasting impact your loved ones have made with our beautiful prayers of remembrance.